Over the past few days, Hereditary Prince Alois has held several audiences at Vaduz Castle. On the 8th, he received three new ambassadors for the presentation of credentials: Hisham Nehad Seifeldin (Arab Republic of Egypt), Manuel Francisco Aguilera de la Paz (Republic of Cuba), and Mohamed Sultan Abdalla Alowais Alshamsi (United Arab Emirates). 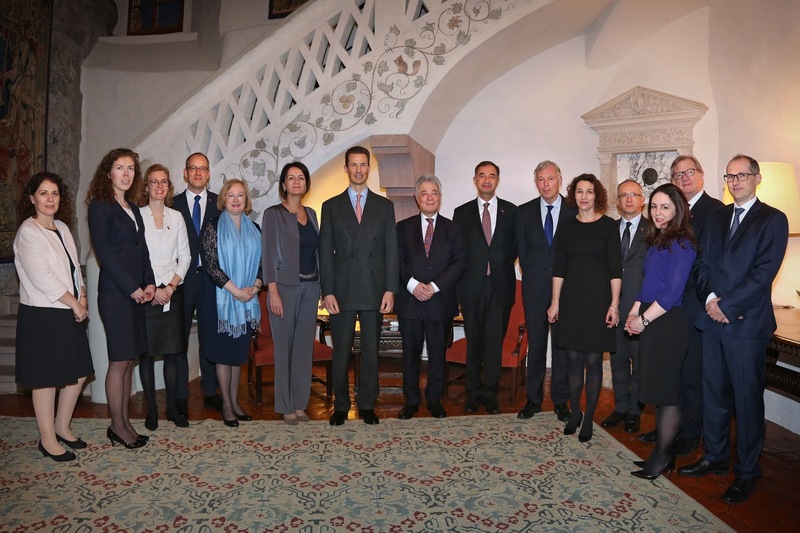 As is traditional, the Minister of Foreign Affairs Aurelia Frick also paid the ambassadors a courtesy visit at the government building. On the 10th, the Hereditary Prince also received a delegation from European External Action Service (EEAS) and European Union Ambassadors for Western Europe. 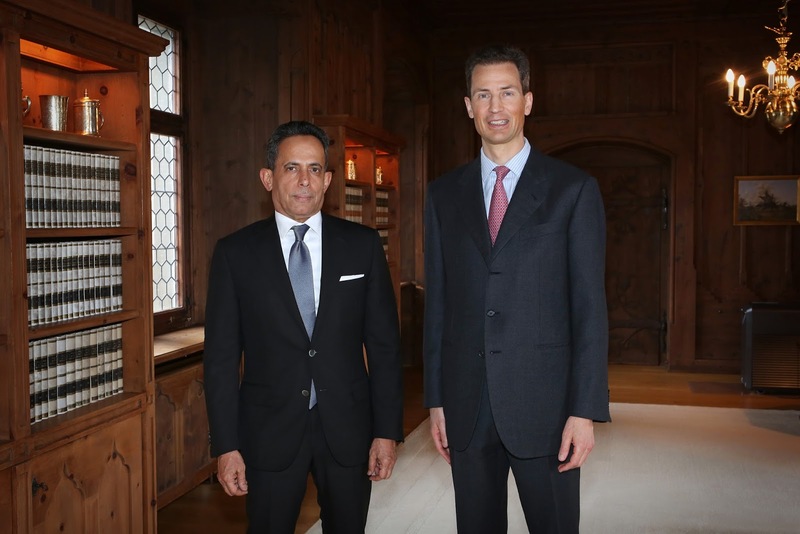 The delegation was in Vaduz for meetings and to hold talks with Prime Minister Adrian Hasler, Deputy Prime Minister Thomas Zwiefelhofer, and Minister of Foreign Affairs Aurelia Frick. Among the topics under discussion were the relationship between Liechtenstein and the EU and challenges that the EU is presently facing. 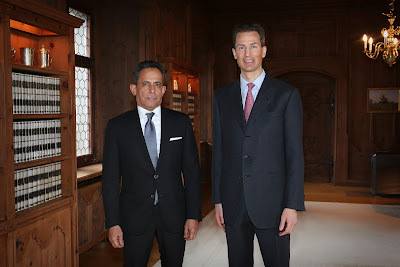 The delegation concluded with a courtesy visit to Alois at Vaduz Castle.